Presidents Day – Reflecting on the Importance of Law | Hupy and Abraham, S.C.
On February 15, the United States will celebrate its 138th Presidents Day! When reflecting on the holiday, we learned something interesting. Of our 44 U.S. presidents throughout history, 26 of them have had a relationship with the law profession. As leaders of our country, these men have established and maintained our Constitution, Bill of Rights and fought tirelessly to ensure that a trial by jury be awarded to every man, woman or child should they need it. And they were not wrong. All of these 26 leaders clearly understood the natural connection between the practice of law and serving the community, just as we strive to do every day at Hupy and Abraham. So this Presidents Day let us take a moment to remember the great contributions these men have made to our civil justice system, and what that means to us today. 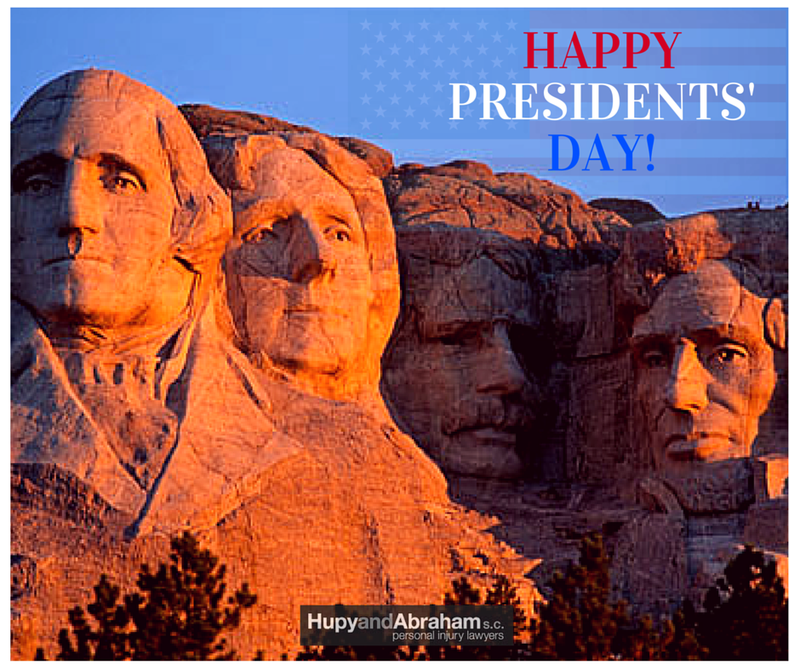 Happy Presidents Day from everyone at the law firm of Hupy and Abraham!